I recently returned from Ft. Lauderdale International Association of Home Staging Professionals (IAHSP) 2017 Conference and Industry Awards. 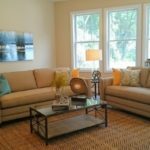 Like most of us that return from such events, I am trying to wade thru what I can use in my staging business and what I can share with my favorite clients and friends about staging. At the conference, I received a “Color Basics Designation”. 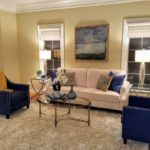 This designation specifically relates to color in staging and home sale preparation. Color is one of the most important staging tools. Color is noticed first. Color effects buyer’s feelings immediately. First impressions matter! Most importantly color helps create a memory! How will your listing or home be remembered over others? If you are working with a seller who needs some color advice or preparing your home for sale and you need a color and staging consultation, I would love to help you make smart color choices to help make your home memorable in a buyers mind! Thank you to Kristie Barnett, “The Decorologist” and JoAnne Lenart-Weary “Decorating and Staging Academy” for their great educational color presentations at the conference.